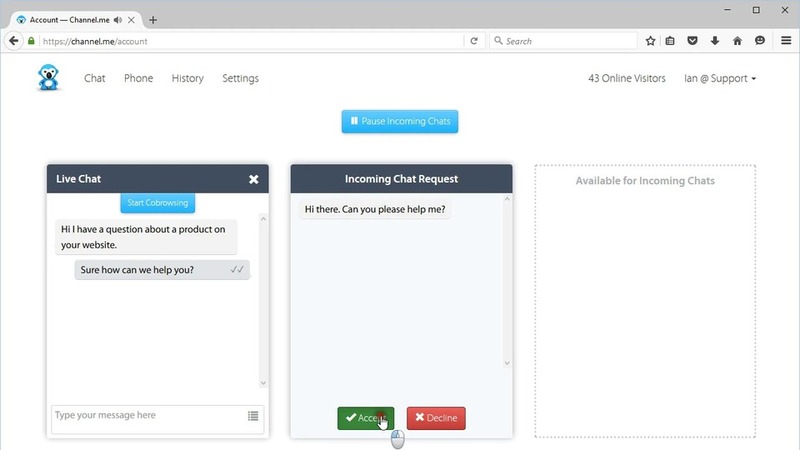 In 2014 our customers started to ask if we had a live chat solution. 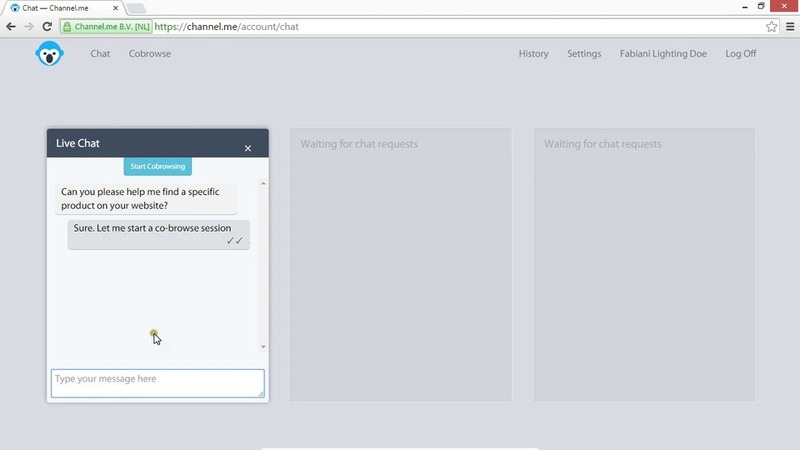 We had decided not to build a live chat solution as there were already 100+ solutions available. We made recommendations and still our customers kept coming back with the request. We asked why? 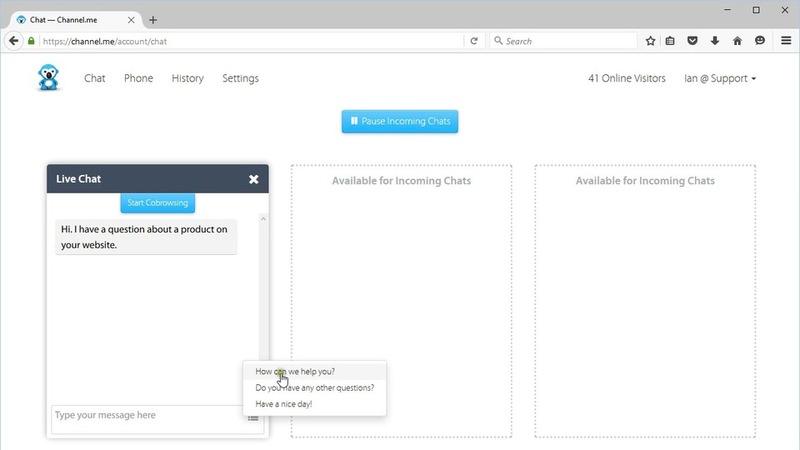 "We want something simple like your co-browsing solution"
We decided to build live chat together with our customers. 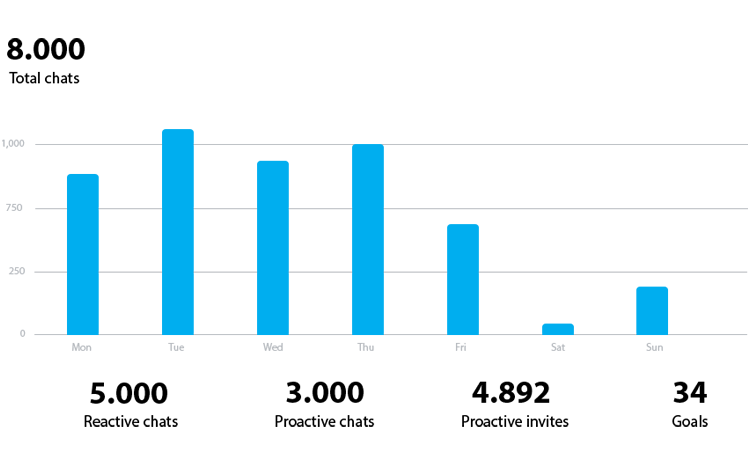 The goal was to better match the needs of the contact center agents. Now they can perform the same tasks with fewer steps. Your message has been submitted! We’ll respond within 24 hours. We integrated co-browsing into our live chat. This makes it a easier to understand and help the customer. 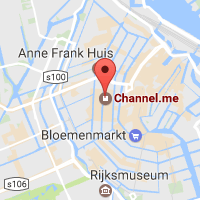 Once you are logged into Channel.me, visitors will be invited to chat with you automatically. Send pre-defined responses to save time and maintain consistency. Receive a call? 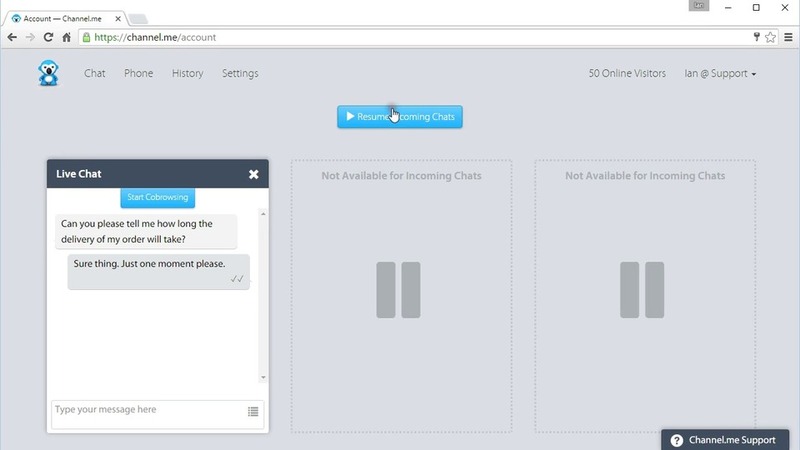 Use the Pause function to temporarily stop new chats from coming in per agent. 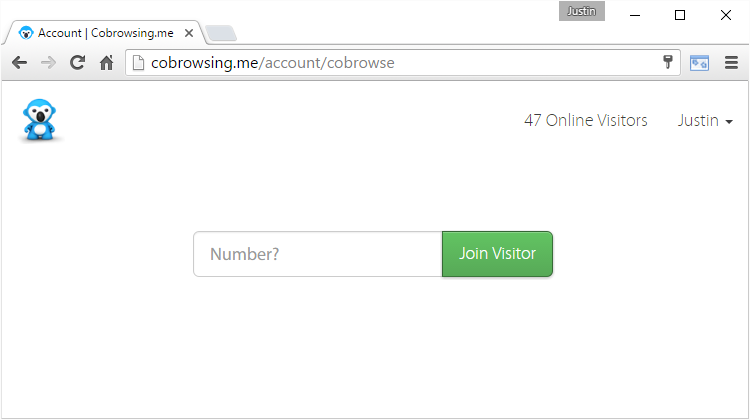 Use your current reporting system like Google Analytics to see the impact of cobrowsing with live chat. Copy and paste this code to every page where you want the live chat button to display. Copy and paste this code to your StyleSheet. 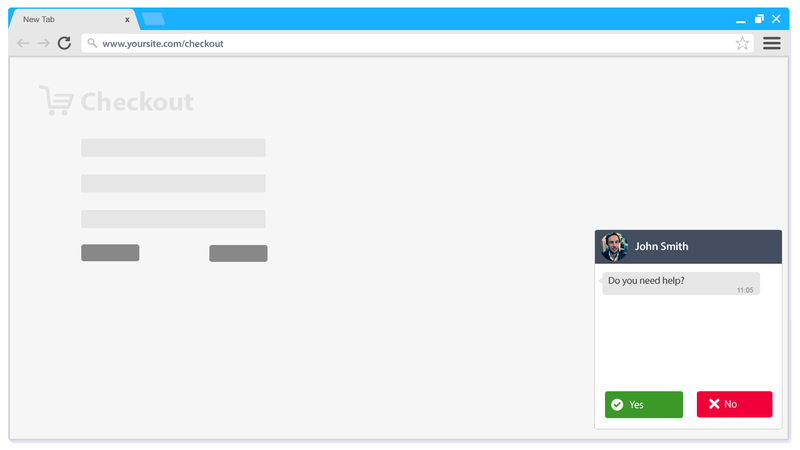 This is how the chat button will look like on your website.